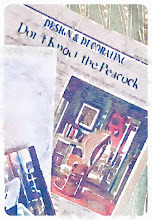 Merci Peak of Chic for your post on decorator Todd Romano. 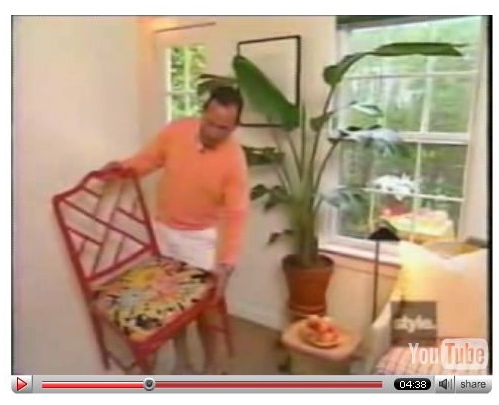 Thanks to you, I discovered video coverage of Romano's colorful beach house. The look of the place is sort of "Palm Beach goes Pop" and it has been a favorite of mine since I first saw it in Elle Decor, June-July 2001. 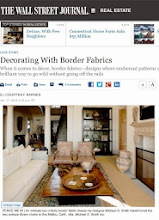 In the video both Romano and Elle Decor Editor-in-Chief, Margaret Russell, offer commentary. Yesterday I uncovered these pictures in an old inspiration book of mine. 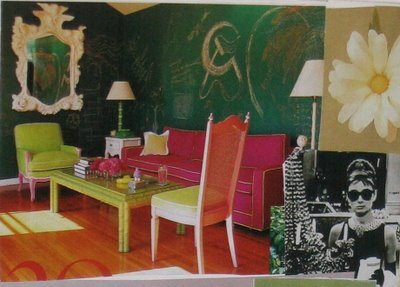 Unfortunately, because I cut and pasted them to the page, I now don't have a clue who designed the room. 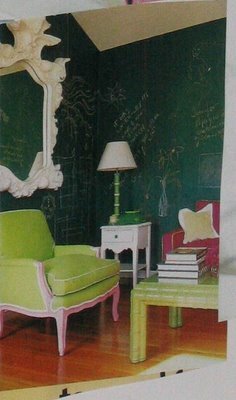 And I'm intrigued by the homage to Dorothy Draper, with the frothy white Baroque mirror, dark green walls and pink upholstery. Was it a commercial space? 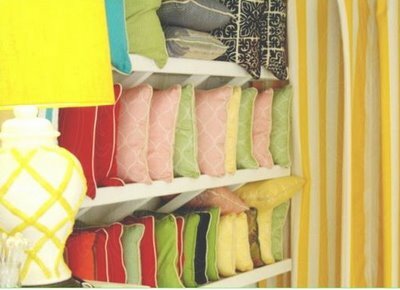 A showhouse interior, or an installation to show new products? The walls seem to be covered with chalkboard paint. I do remember cutting the images from House & Garden a few years ago. Does anyone recognize this room? 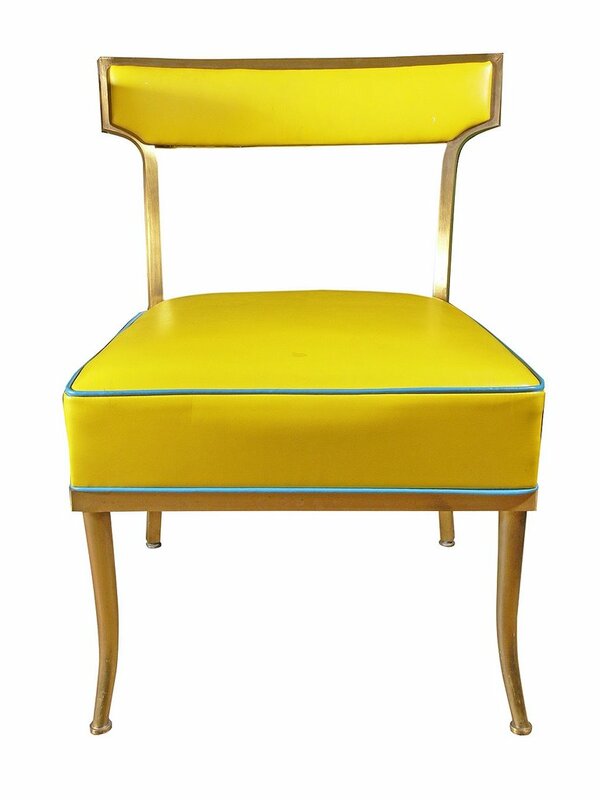 Louis XV and Louis XVI-style chairs never seem to go out of fashion. 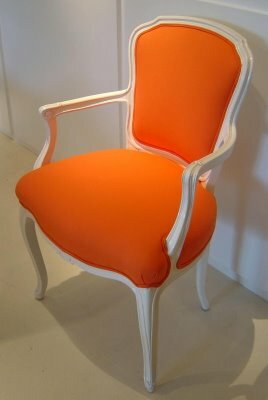 In The Paris Interior, Herbert Ypma writes about this phenomenon, describing the chairs associated with France's last two kings as "possibly the most successful pieces in the entire history of furniture design..."
The fun orange chair above perfectly illustrates Ypma's point that, for centuries now, these chairs have been imitated and reinvented. 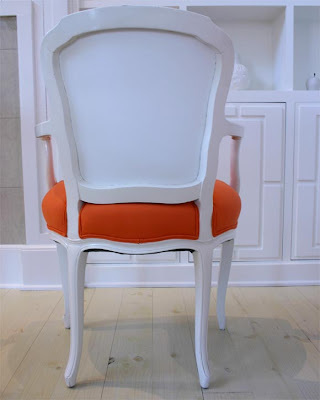 With its glossy bright white frame, mod white leather back and citrus-colored cotton front, this chair couldn't look any fresher. Yet the form is true to the 18th-century. 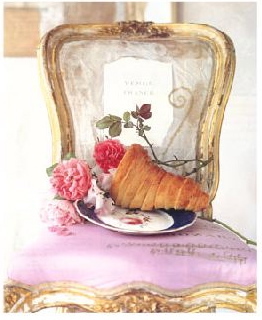 French style is on my mind because Decorative Arts of the Kings opens Saturday, March 3 at the High Museum of Art. If you plan to be in Atlanta during the next few months, many chances to learn more about the tastes of each Louis (and Marie Antoinette) are happening in conjunction with the exhibition. 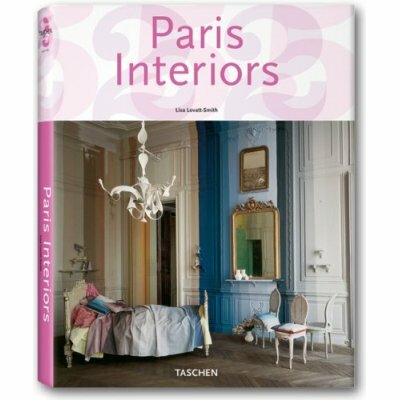 Toward the end of March, look for the re-release of Interiors Paris (Taschen 25th Anniversary Series) at a more economical $19.99. 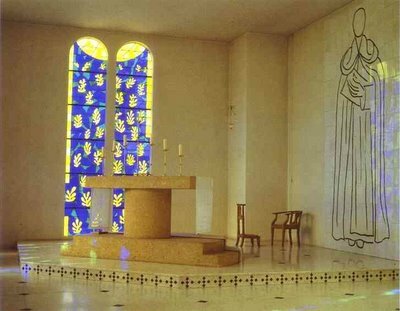 Above, interior of Matisse's Chapel of the Rosary, Vence; Rosamond Bernier was the first writer to cover several major achievements in art, like this chapel, that later became landmarks. 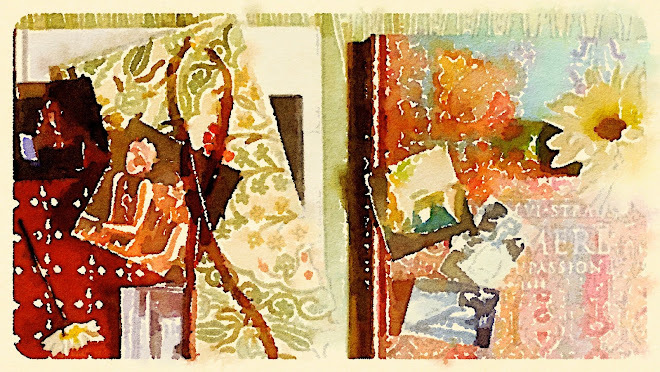 Rosamond Bernier isn't directly connected to interior design, but she is an amazing figure in 20th-century art and fashion. While working for Vogue as a young American in Paris after World War II, Bernier became good friends with artists including Pablo Picasso, Henri Matisse, and Joan Miro. These relationships helped her launch the critically-acclaimed art magazine, L'OEIL, in 1955. Later in the 1970s she returned to the U.S., becoming a celebrated lecturer known for her smart but unstuffy style. She also returned to American Vogue as a contributing editor. Bernier's adventures have included flying her own airplane, raising a small private zoo, and being named for life to the International Best-Dressed List. I was fortunate to hear Bernier speak about Matisse once, and she lived up to all the praise. A schedule of her spring 2007 talks at the The Met is available on her site, and DVDs of her greatest "Live at The Met" lectures, such as The Matisse I Knew, The Matisse Nobody Knew and Taste At The Top: Francois I, Charles I, are available too. This cheerfully glamorous Billy Haines-designed brass table and chair set sold last year through Todd Merrill Antiques, but I like to think it found a happy home in a chic breakfast room. Maybe the new owners have a striking turquoise vase filled with fresh flowers on the table, to bring out that sharp turquoise-blue piping on the original canary-yellow upholstery. 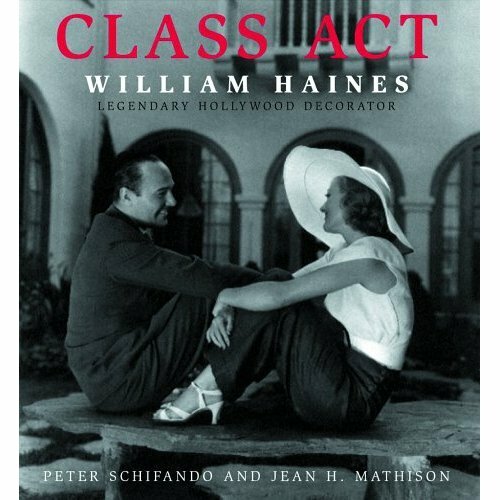 Billy Haines was a silent film star who became a highly successful mid-20th-century decorator associated with Hollywood Regency style. To grasp Hollywood Regency, think Jane Austen's Emma with a posh, theatrical spin. Originating in Southern California in the 1930s, Hollywood Regency was a bit of a reaction against stark Modernism. Elegant English Regency and Greek Revival forms of the early 19th-century were often reinterpreted in an exaggerated, camera-ready way. 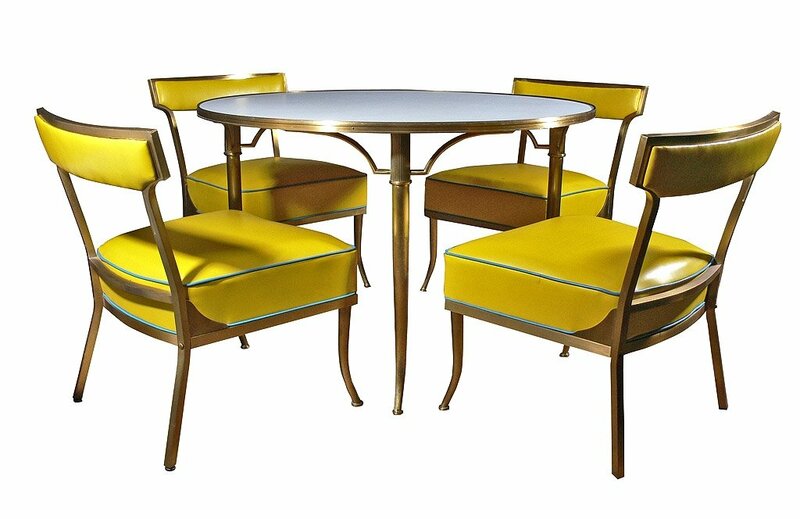 For example, the yellow chairs above resemble classic Greek klismos chairs with curved saber-like legs and broad concave backrests, but the Technicolor vinyl upholstery and white laminated tabletop is pure 20th-century. 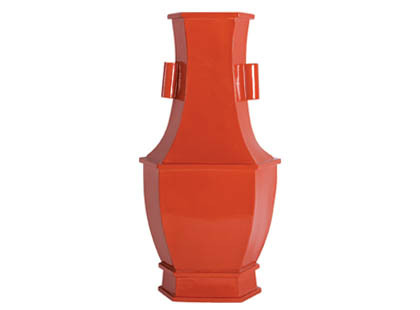 Persimmon is among the trend alerts in the March Elle Decor. So, this glazed ceramic persimmon vase from Jayson Home recently caught my attention. It's large -- nearly two feet tall and one foot wide -- and the $435 price tag reflects the hefty size. But the vase is one of the most elegant pieces I've seen in a while. BTW: Jayson Home is based in Chicago and in my experience offers excellent customer service. Below is another vase for the wishlist: a Chinese inspired hand-painted porcelain piece, from Mecox Gardens, with dragon motif that measures twenty inches tall and fourteen inches in diameter. $495. 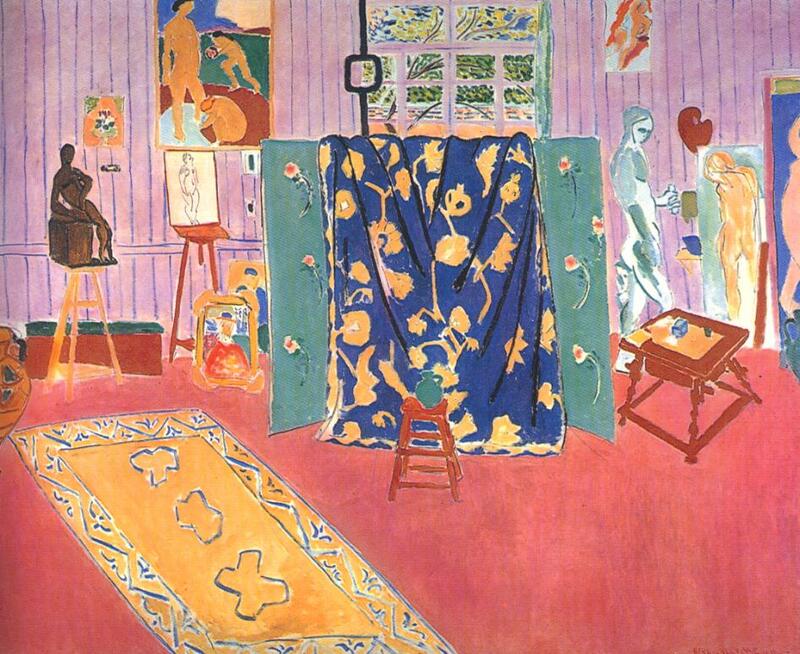 French artist Raoul Dufy wrote a great line that perfectly captured what was happening in early 20th-century art and design: "Paintings have spilled from their frames and stained our dress and our walls." 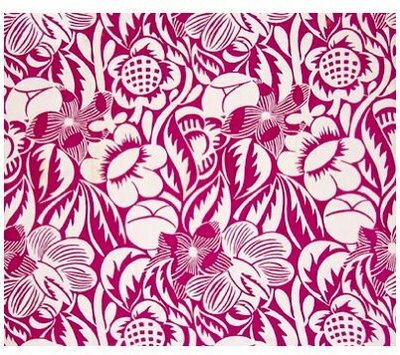 In 2005, textile specialists Cora Ginsburg and rare books gallery Leonard Fox in a sense illustrated Dufy's point by organizing the exhibition, Fabricating Modernity: The Spirit of Art Deco in French Textiles and Fashion, 1910-1940. 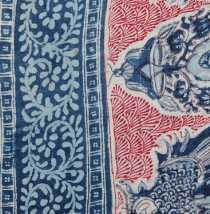 In the show, woven and printed textiles were exhibited alongside the graphic designs that inspired them. Works from innovative artists such as Sonia Delaunay, Raoul Dufy, and Paul Poiret were included. 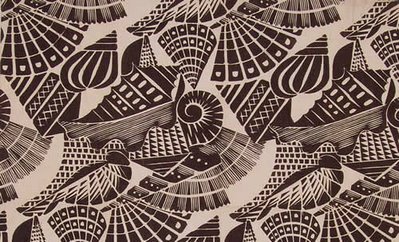 To me, the patterns still feel fresh. 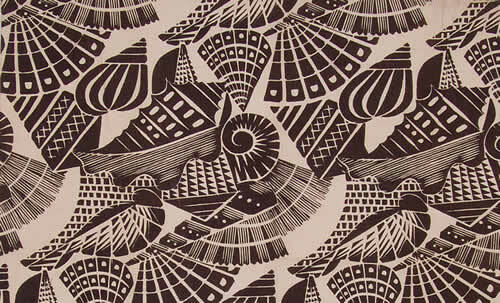 To learn more see Art Deco Textiles: The French Designers. All images above from Cora Ginsburg. 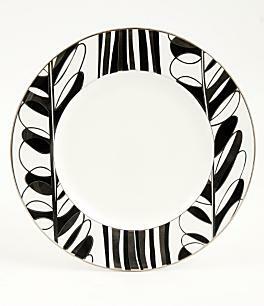 Above, Kate Spade's Oleander Avenue china pattern reflects that energetic 20th-century modernist spirit too. 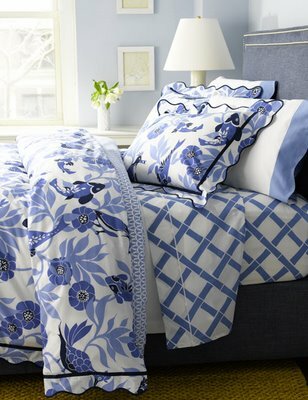 Available through Dillard's. 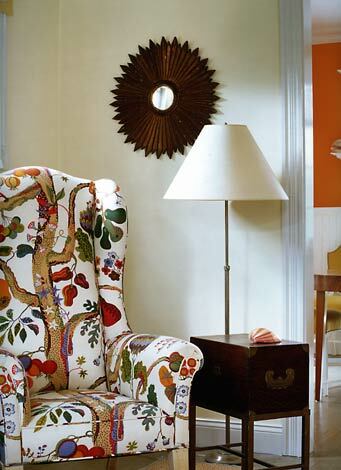 I first saw this attention-grabbing wingback chair in an Amagansett, New York house designed by Steven Gambrel, in the June-July 2002 issue of Elle Decor. 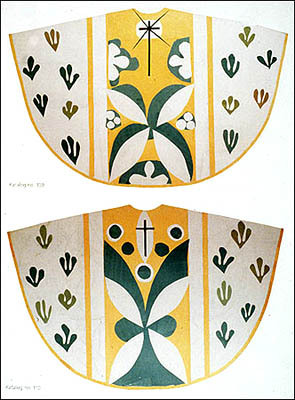 A few years later in June 2006, still drawn to the bold pattern, I posted it here. 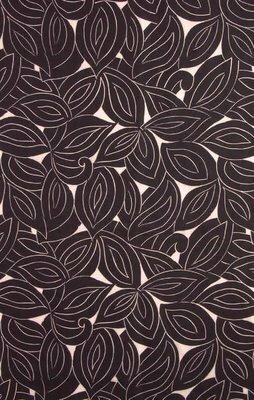 Now with all the buzz about Anthropologie's new, extremely similar looking wingback chair and other pieces upholstered in Josef Frank fabrics, I thought it would be fun to post the Gambrel picture again. For more on Frank, see Josef Frank: Life and Work. Illustrator Paulina Reyes, a senior member of Kate Spade's creative team, lists the book Matisse, His Art and His Textiles as one of her favorites. This title is on my bookshelf too. Matisse was a lifelong collector of textiles -- French and African fabrics, exotic Persian carpets, Middle Eastern embroideries -- and the book explores how his vast collection influenced his art. 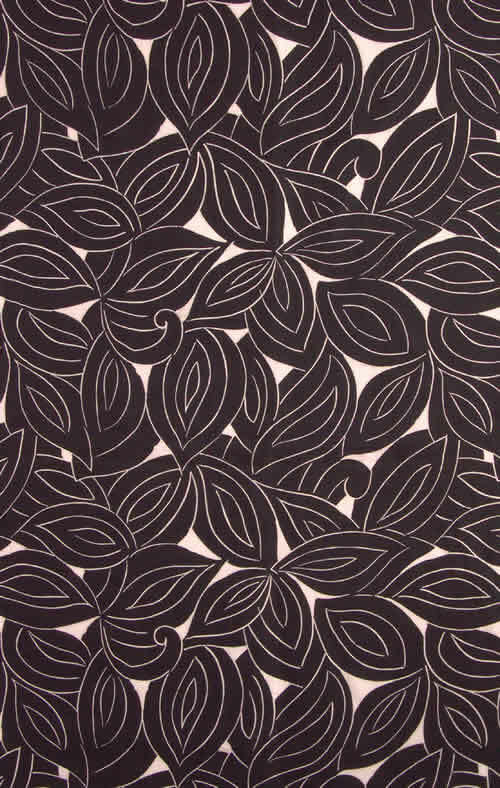 It's a great resource for fabric designers, or anyone passionate about textiles and Matisse. Another recommendation from Reyes is Mad About Madeline. Reyes says she picked up the book while working on the baby line at Kate Spade, and describes the illustrations as humorous and sophisticated. 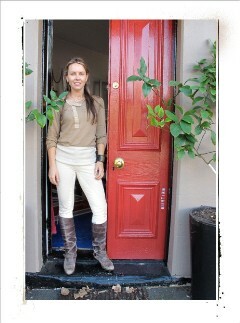 For more on Paulina Reyes, visit "behind the curtain" on Spade's site. Above, designer Karla Stevens brings old school East coast elegance and practicality to California with her showroom, Patio Culture, which specializes in colorful, custom outdoor cushions. 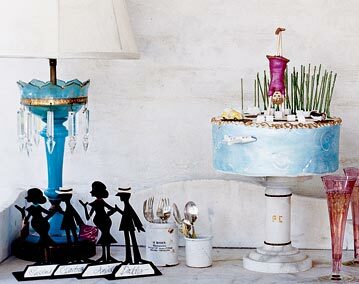 When you see one of Karla's cheerfully stylish vignettes, you almost expect Doris Day to enter at any moment. But the vibe at Patio Culture is definitely current. Don't miss the stunning images on Karla's site. 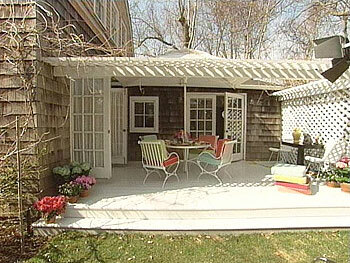 A friendly reader sent me the image above of Kate and Andy Spade's weekend cottage patio, as seen on Oprah. In designing the outdoor area, Kate said she was inspired by a 1950s-era photograph of a Beverly Hills home with alternating brightly colored cushions. 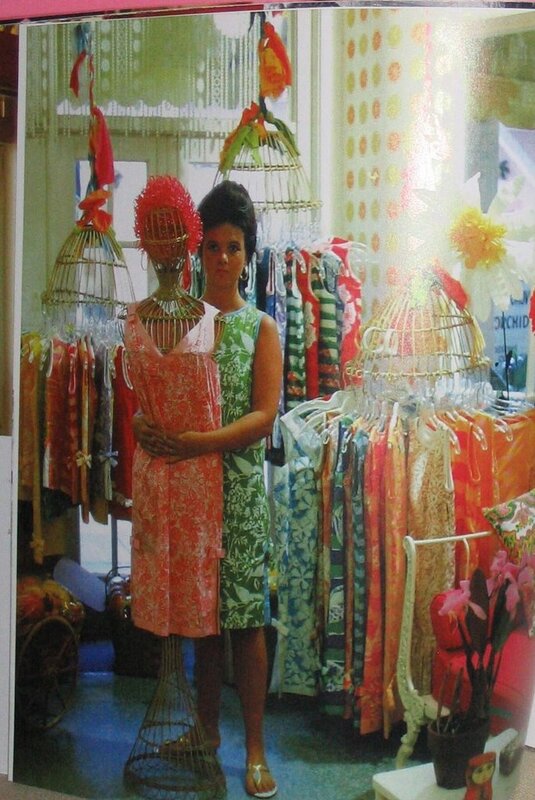 My favorite description of Southerner Angele Parlange came from Margaret Russell a few years back: "Known for racing full-tilt through life dressed head to toe in up-to-the-minute fashion, Parlange is hardly the archetypal belle. On the contrary, she's a savvy businesswoman who runs a design firm, entertains, and travels with remarkable enthusiasm and virve." 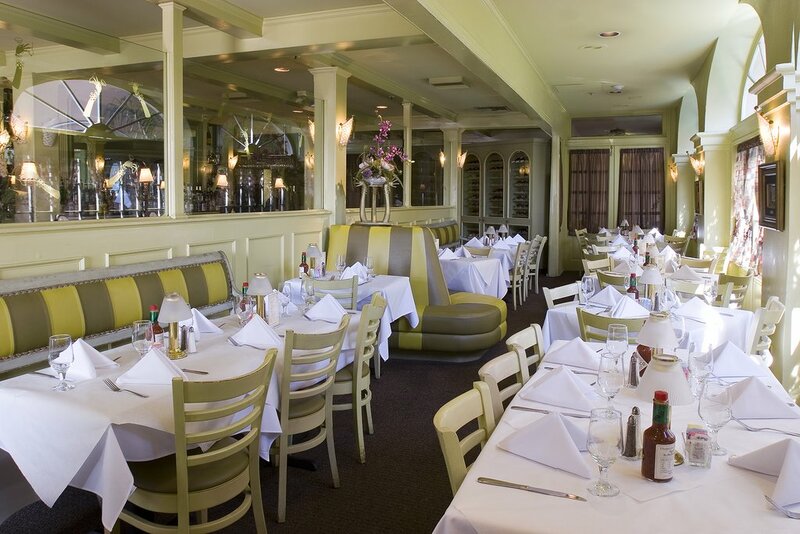 With Parlange's book, Creole Thrift: Premium Southern Living Without Spending a Mint, we get to go along for the ride. 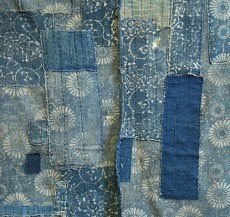 Her stories are hysterical and pay homage to the craftsmen, seamstresses, and handymen -- those who go unmentioned in most shelter mags -- that bring the designer's ideas to fruition. Some readers have been disappointed with the book's contents because they focused on the word "thrift," but not the rest of the title. It's not about "design on a dime" or "glue gun decorating." Instead the focus is on being resourceful and using what you have to create a gracious and interesting home, rather than a trendy showroom. 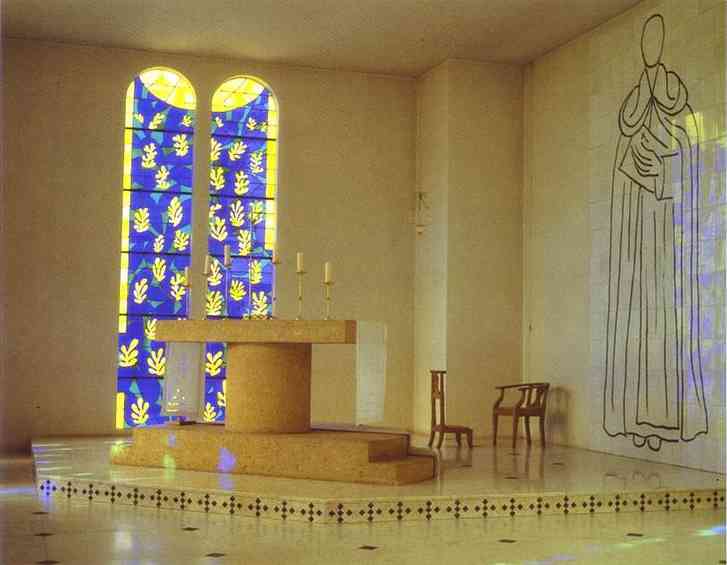 Parlange's style is rooted in French classicism with a very whimsical bent -- if you are a modernist at heart, the book's interiors images probably won't appeal to you. However, throughout the pages there's a wisdom about spirited living (plus great cocktail recipes) that applies to everyone, regardless of personal aesthetics. 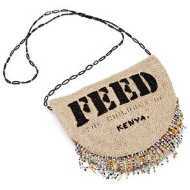 Links to some of Angele's favorite shops: Bell'occhio and Tinsel Trading, M & J for ribbon and trim. Searching for a past issue of House & Garden, Vogue, Architectural Digest, Martha Stewart Weddings or House Beautiful? Try Past Paper. This is where I turn now when I want a special back issue in a hurry. The customer service is excellent, the shipping charges are fair, and the inventory includes issues from the last 100 years. Vogue issues can get pricey, ranging from $15 to $150 depending on age and popularity. 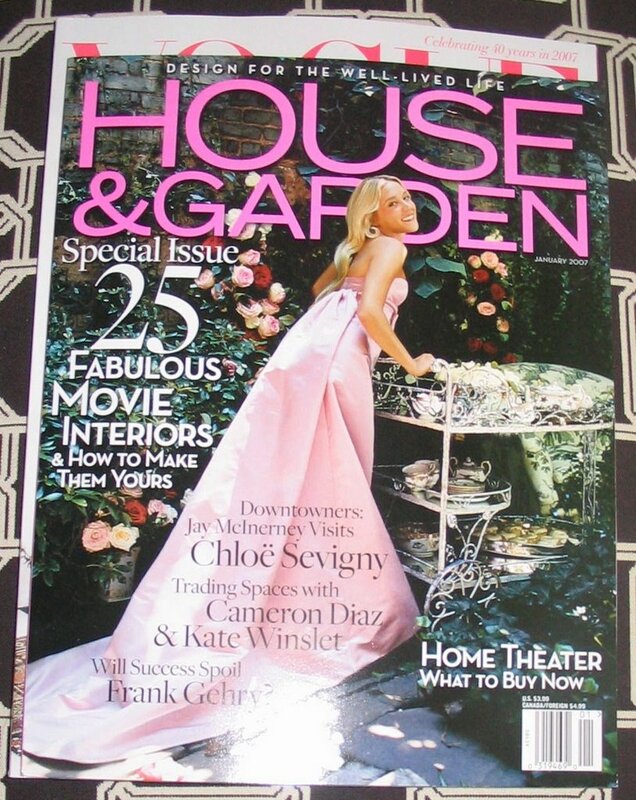 But vintage issues of House & Garden range from $7.50 to $45. International shipping is available. 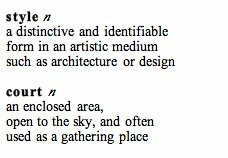 Sumptuous and amazing are words that can be used a bit too liberally, but in describing Carolyn Quartermaine's work, these words truly fit. 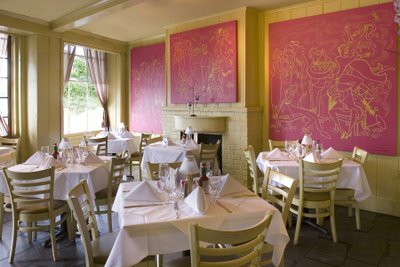 Known for her brilliant use of color, Quartermaine is an artist, fabric designer and stylist who has worked on projects for Hermes, Vogue Living, Louis Vuitton, Sketch Restaurants and Manuel Canovas. In her work, stark white interiors are often the backdrop for opulent French 18th-century pieces and sensuous silks. 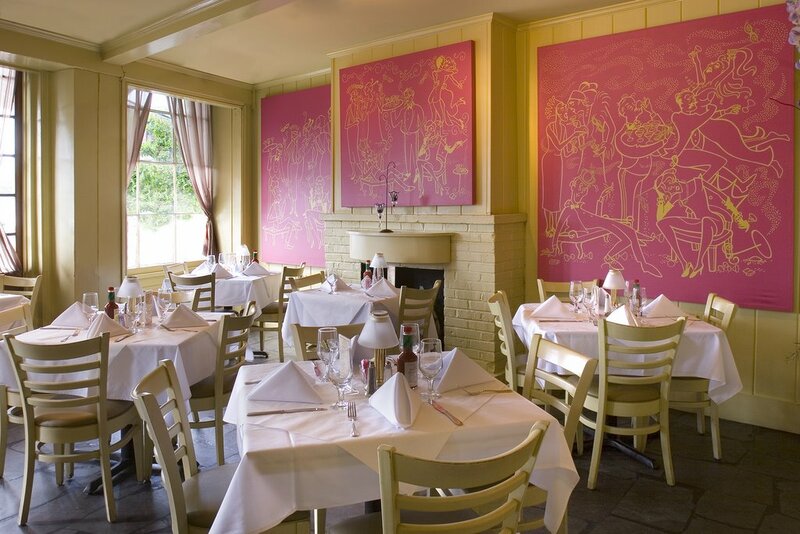 Louis XV chairs are used like sculpture in modernist settings. 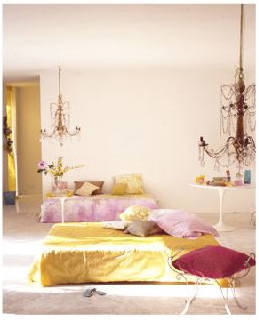 Her lavish 1997 book, Carolyn Quatermaine Revealed, shows how she uses her London flat as an ever-changing design laboratory. Both the photography and the text are excellent. The book is becoming harder to find, but it is a great source of inspiration for stylists, event planners and design students. Speaking of "Versailles Meets Modern," Marie Antoinette will be released on DVD February 13. One of the included bonus features is "Cribs with Louis XVI." I'm curious to check it out. Remember the cabana-like vignette Kelly Crago Hansen created for the 2006 fundraiser Dining By Design? 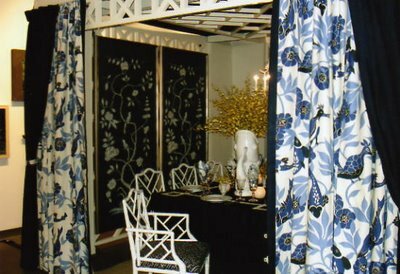 Going beyond the required tablescape, Kelly created the illusion of an outdoor room complete with a Chinese Chippendale ceiling, a faux bamboo chandelier and curtains made from Lulu DK's Paradiso. 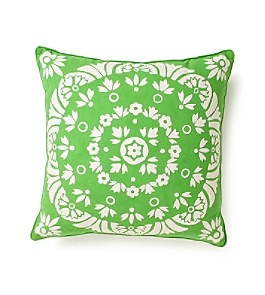 Just in at Anthropologie: the Bayeux crewelwork pillow in kelly-green. 20" square. $69. Love it! 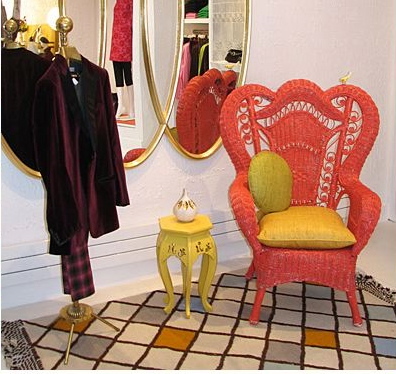 In December I posted a few images of Trina Turk's recently opened New York boutique, designed by Jonathan Adler. At the time, reader reaction was a little lukewarm. 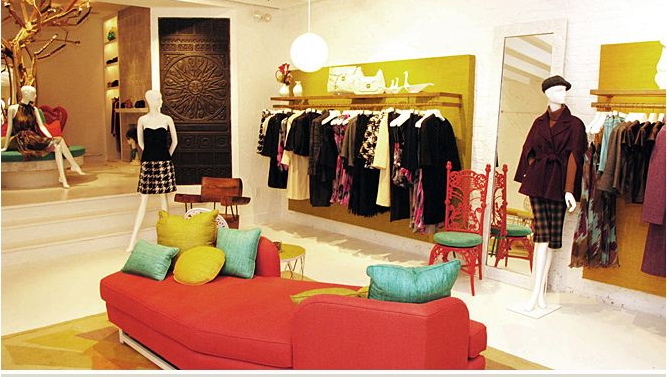 But now more lively views of the boutique can be seen on Adler's site. To me, the store epitomizes happy chic. One fun feature is a hanging birdcage chair that is reminiscent of the birdcage clothes racks in Lilly Pulitzer's Palm Beach shop circa 1962, as shown below. Take a look and see what you think. Adler's whole online interiors portfolio has been updated and looks great. 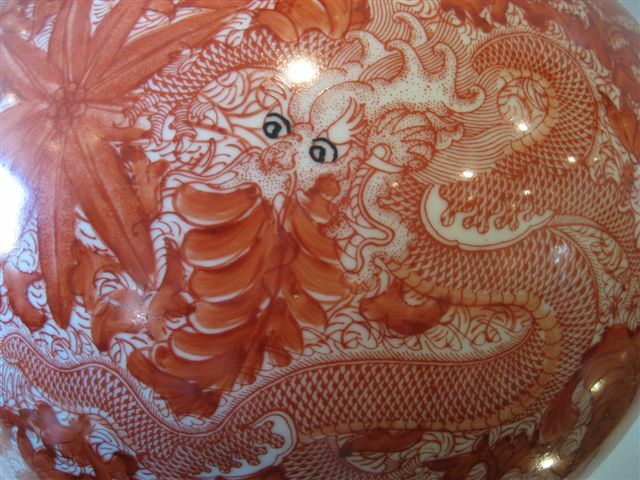 This weekend instead of heading straight to Anthropologie, why not give Mandarin Antiques a try? Located in Buckhead at 700 Miami Circle, Mandarin offers an endless mix of authentic Chinese antiques, vintage pieces, and more modestly priced reproductions. 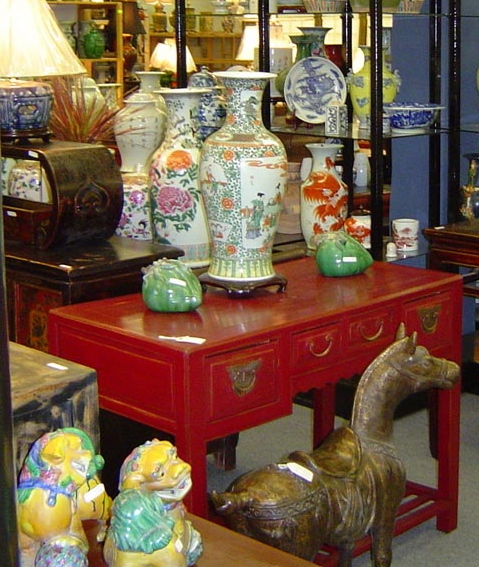 If you are searching for a black lacquered coffee table or a Chinese-red chest, this is the place. 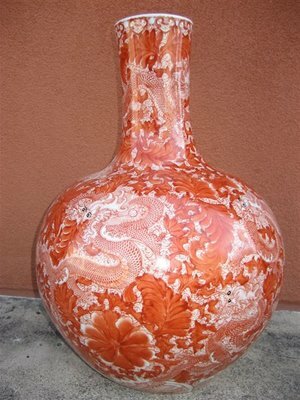 Lamp-making is a specialty too; you can have a lamp custom made from any vase, pot or object you find on the shelves. 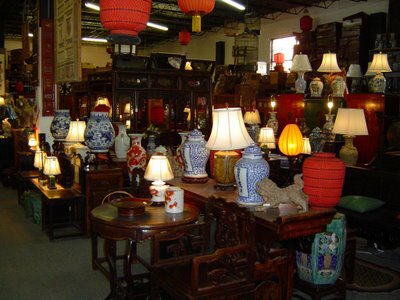 Prices start at about $240 per lamp, including the shade and labor, but expect many lamps to cost more. Customer service is excellent, and the store is open on Sundays. BTW: Although the atmosphere in Mandarin is friendly and very relaxed, I would not take small children there because the store does have a "you break it, you buy it" policy. Fragile objects costing six and five figures are around, and disaster could strike with one quick turn.